12 Days of Christmas Giveaway – Day 5! Today is day 5 of Zip-A-Dee-Doo-Dah’s 12 Days of Christmas Giveaway! I’m teaming up with her and some fabulous other teacher bloggers to bring a lucky winner some great prizes! 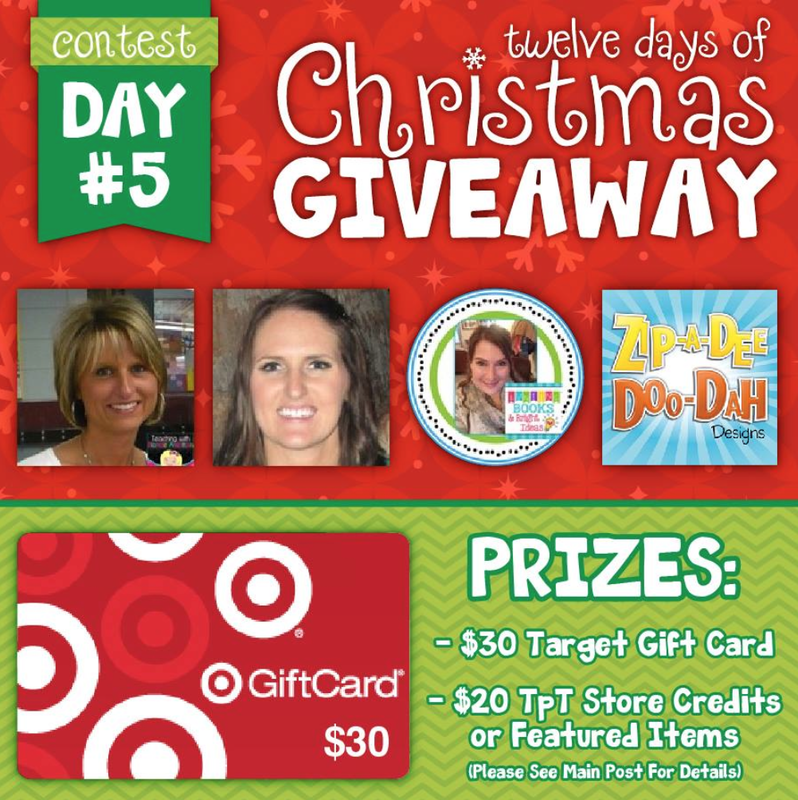 Enter using the Rafflecopter below to win a $20 Target gift card and TPT credits to our stores!